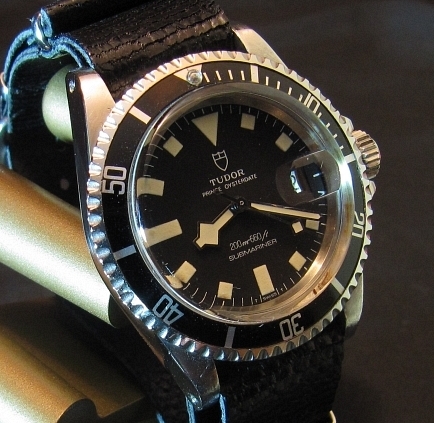 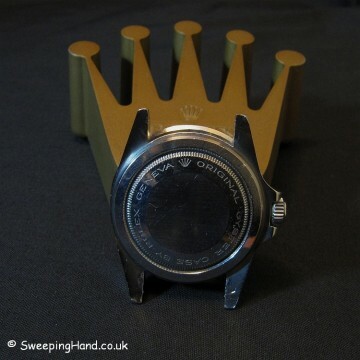 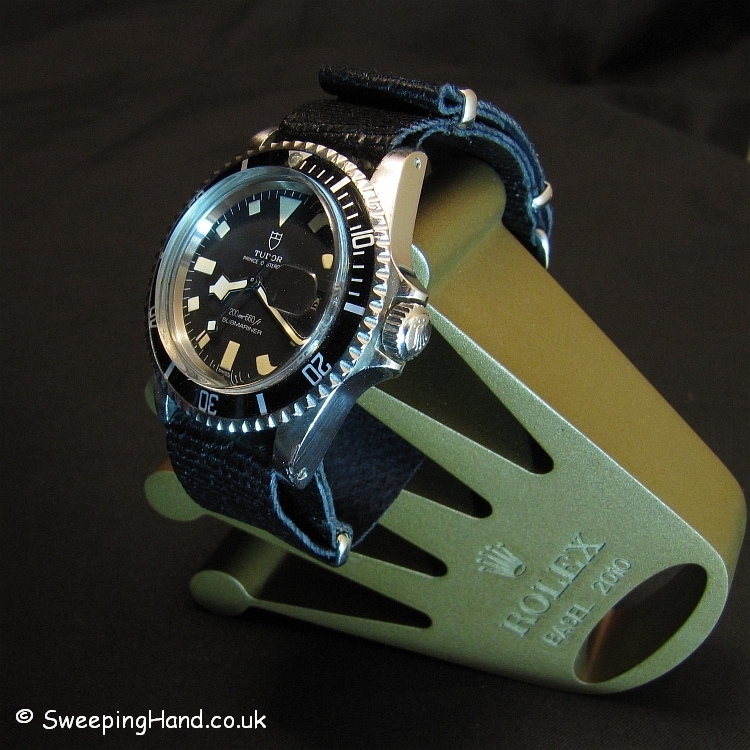 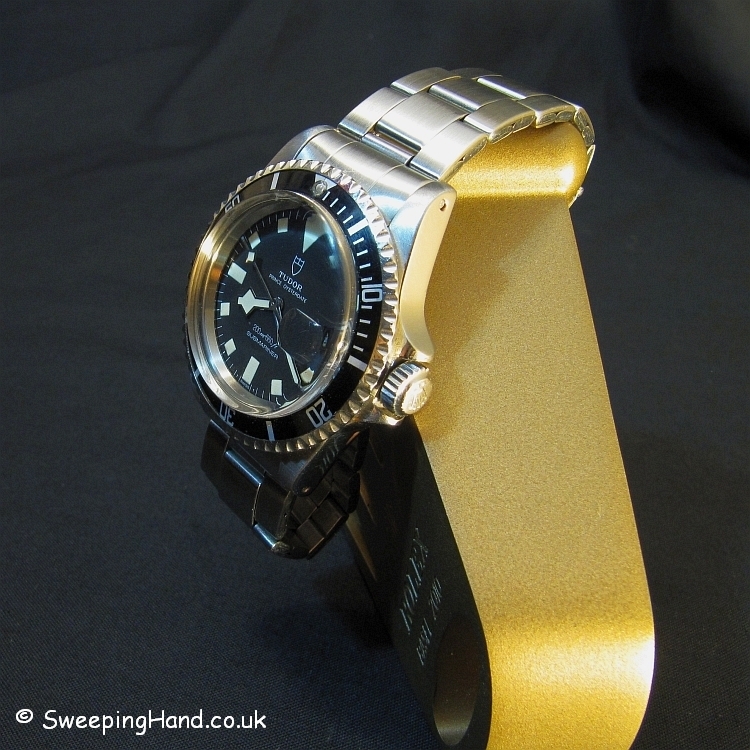 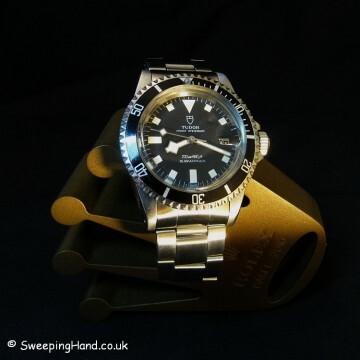 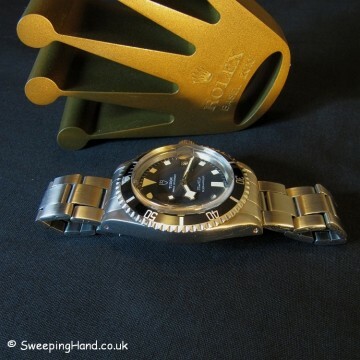 Here we have a Tudor Submariner Snowflake 94110 For Sale from 1981. 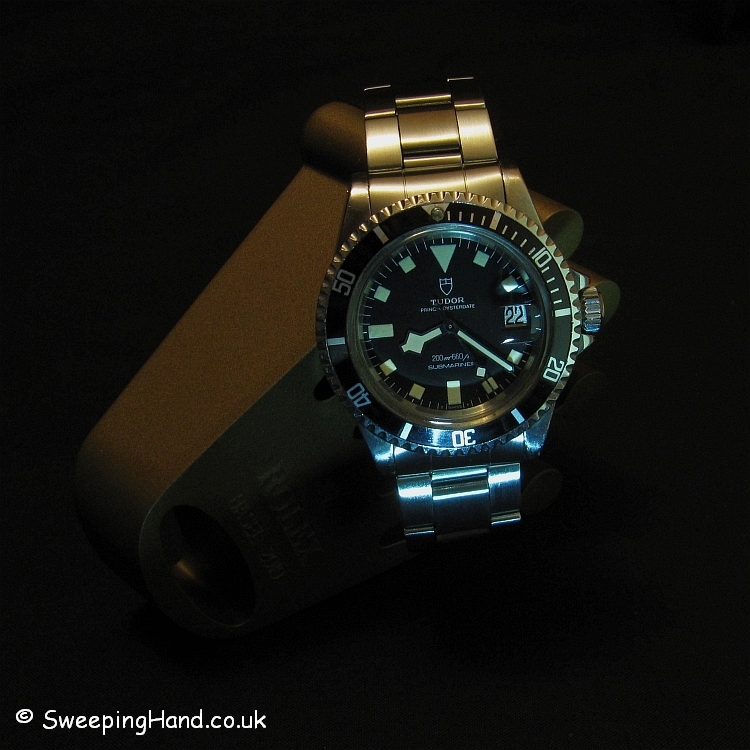 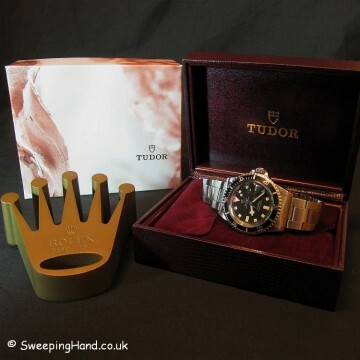 This is a beautiful vintage Tudor Submariner 94110 date watch that I’ve just taken in part exchange. 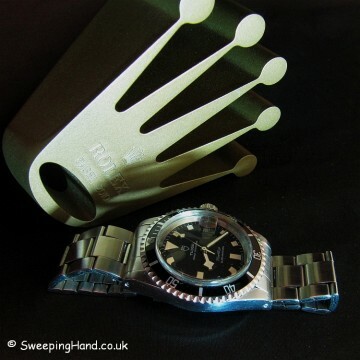 However as I don’t have a mint black dial snowflake in my collection don’t be surprised if I change my mind and keep it!! 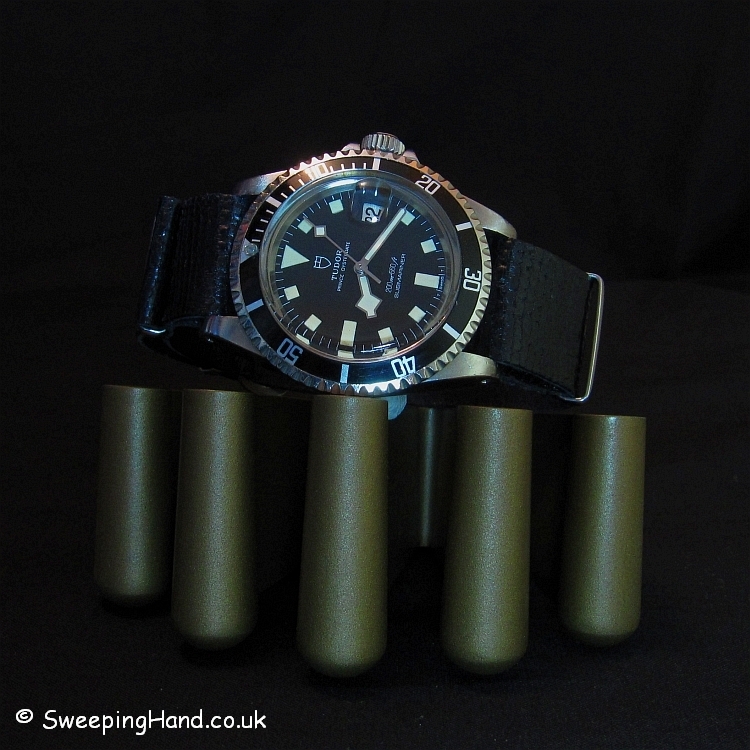 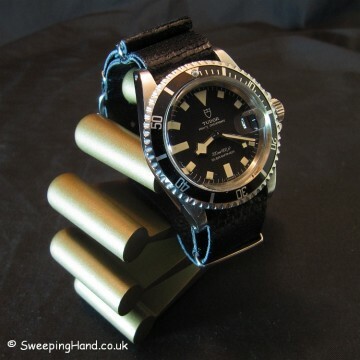 The Tudor Submariner dials of the 70’s were known to degenerate and spot quite badly and often can be in bad shape, for some reason it appears to have affected black dial snowflakes a little more than blue. 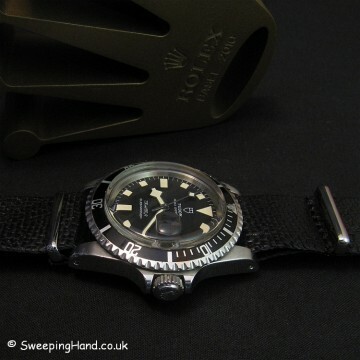 This makes finding a specimen with a mint dial like this all the more rare. 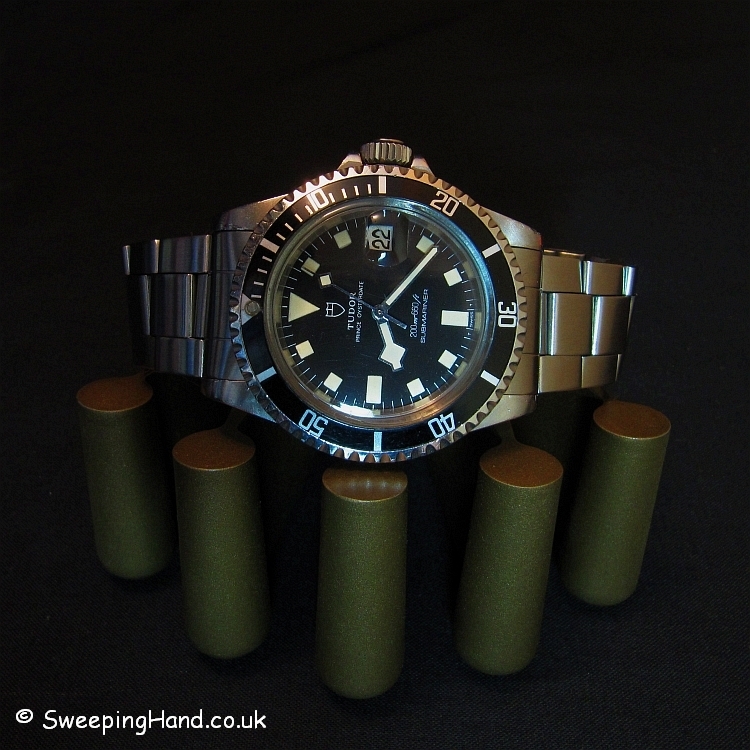 Few mint black dials ever seem to come to market and don’t last long on it when they do. The case is full and fat without major dings or scratches, dial and hands are mint without any marks whatsoever and with a beautiful creamy tone to the plots. Finished off with an excellent matching fat font insert. 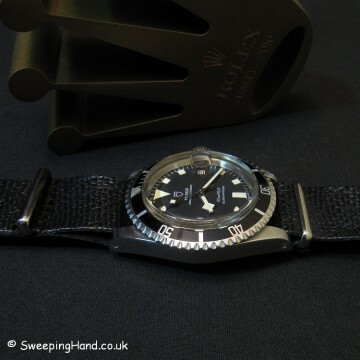 Comes on a Rolex 9315 folded link bracelet with correct 380 end pieces and a Tudor clasp and with inner and outer boxes. 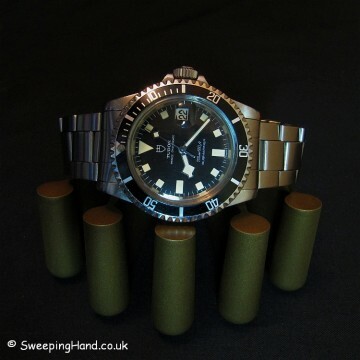 Dial & Hands: Beautiful black Tudor dial with cream markers and excellent matching Tudor snowflake hands. 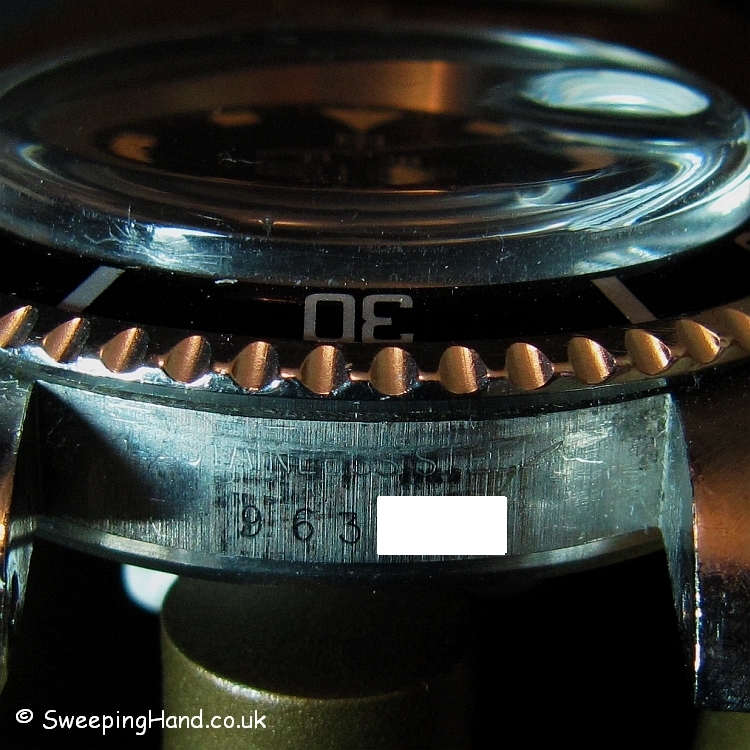 Case & Caseback: 960k serial correct to about 1981 with all numbers clearly readable between the lugs. 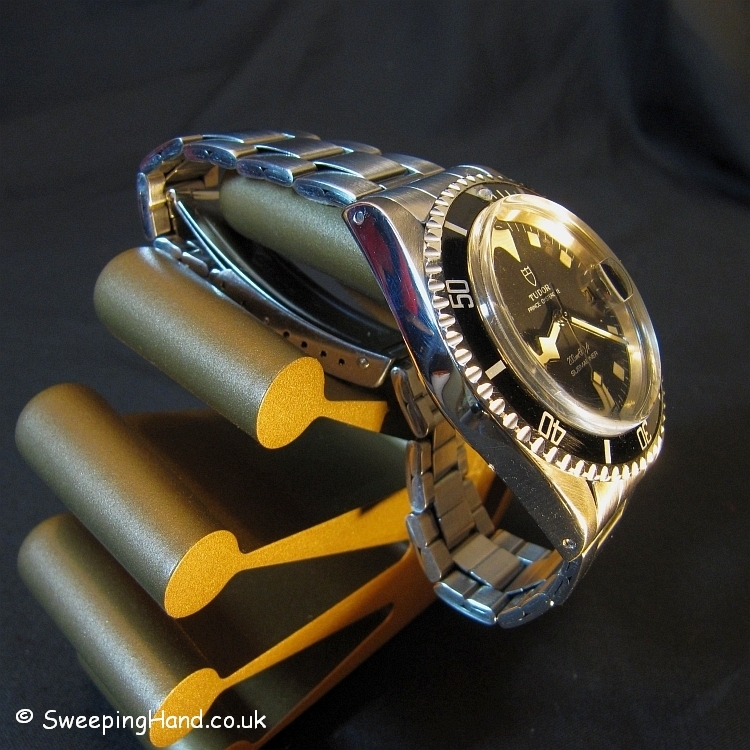 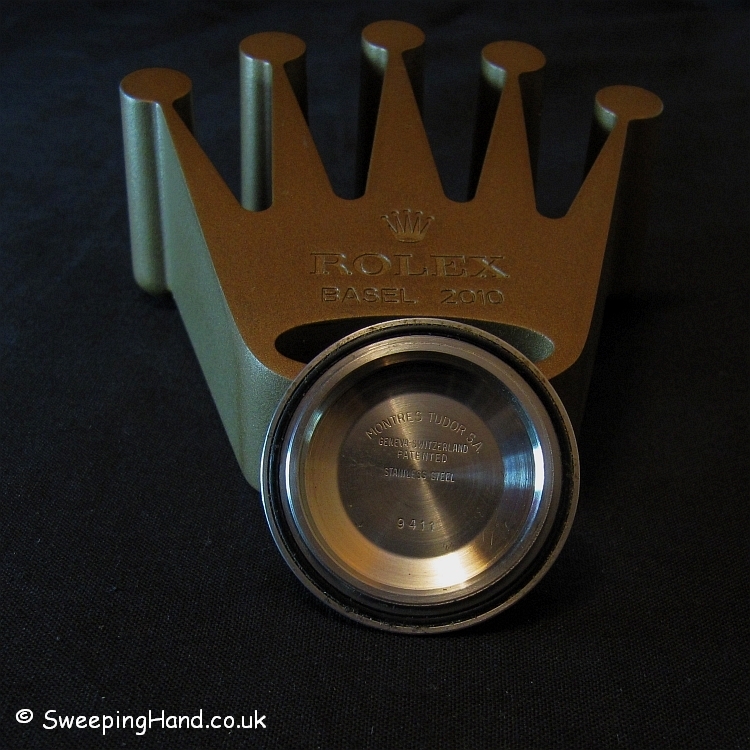 Correctly stamped Rolex caseback. 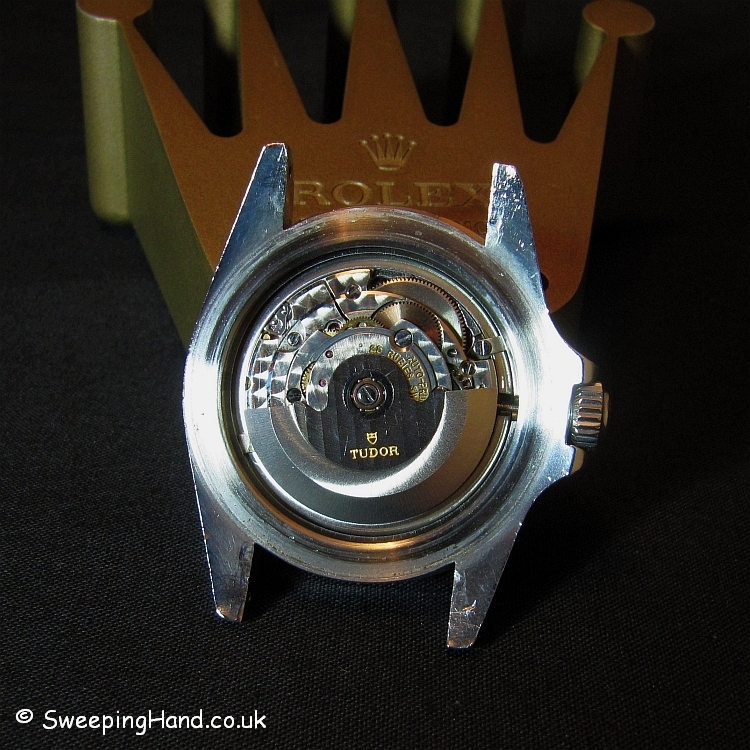 Fat lugs, extremely clean case and with matching black bezel insert and pip. 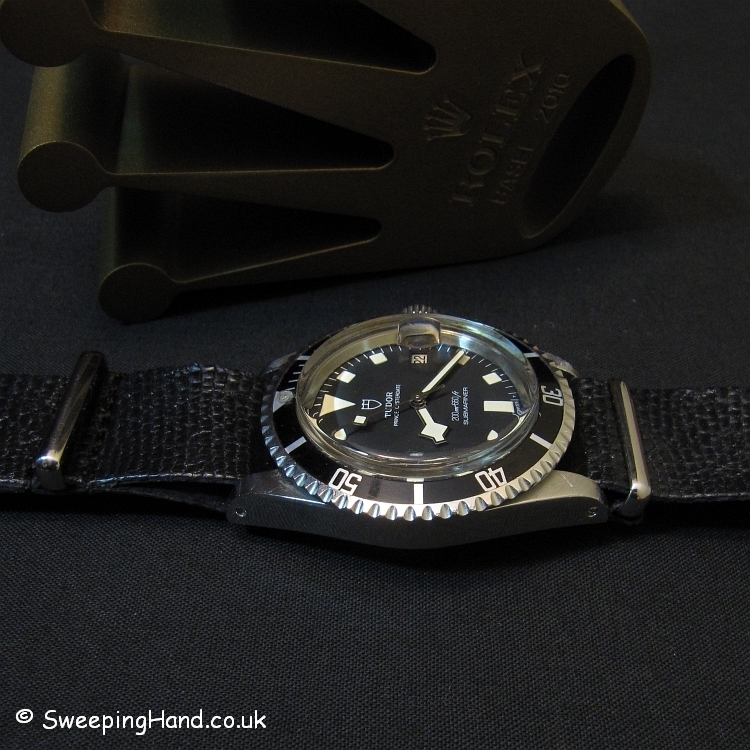 Bracelet: Comes on Rolex 9315 / 380 folded link bracelet with Tudor Clasp. Movement: Original calibre 2784 Tudor movement in excellent working condition and keeping good time. 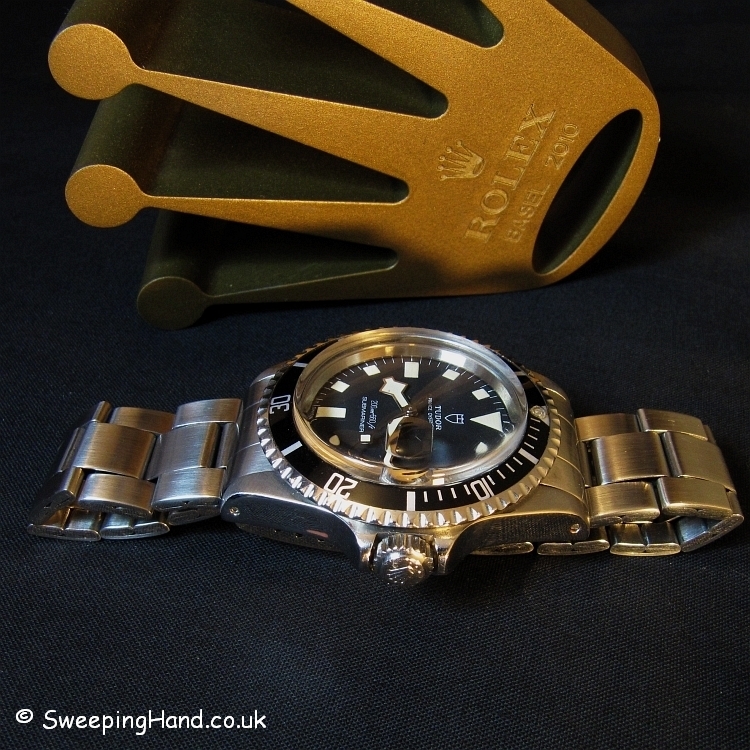 Box and Papers: No papers but guaranteed 100% authentic Rolex Tudor Submariner and comes with inner and outer boxes.